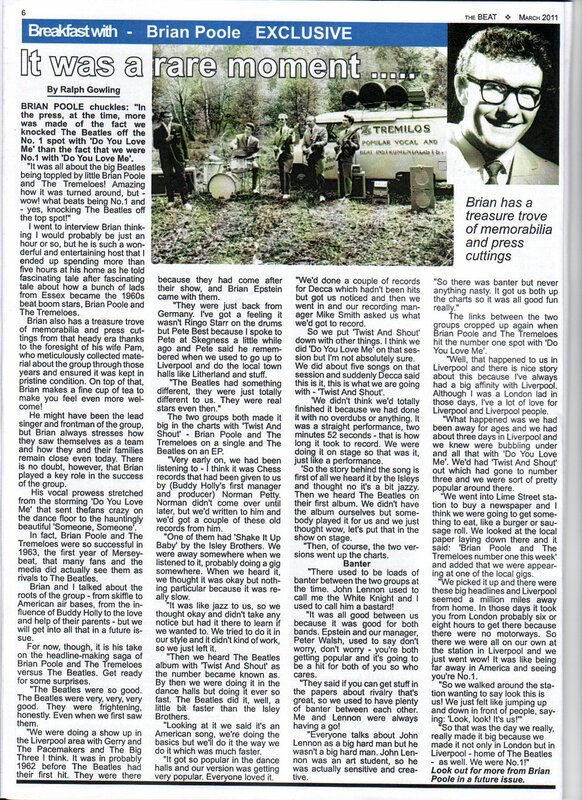 Brian Poole chuckles: “In the press, at the time, more was made of the fact we knocked The Beatles off the No. 1 spot with ‘Do You Love Me’ than the fact we were No. 1 with ‘Do You Love Me’.